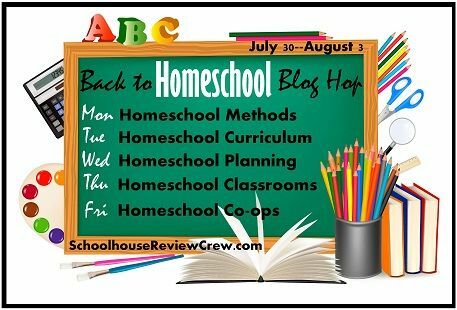 Today's Back to Homeschool Blog Hop is about curriculum choices. If I know one thing about homeschool moms, and especially those moms (and dads) on the Schoolhouse Crew, it is that we love to talk curriculum. This ought to be a fun hop! I can't decide whether to go being really specific, or fairly general. Maybe because that is pretty much how my curriculum choices have been coming together... a vague mix of everything. Yeah. It's been a year. Connor - going into 10th grade. Very science and math oriented. Thomas - going into 6th grade. He loves hands-on and loves a good story. Richard - going into 3rd grade. This kid is scary-smart and would be hard to keep challenged except he has his big brothers' stuff to listen to. Katrina - going into 1st grade. Her focus this year has to be reading. We've homeschooled from the start, and collected oodles of things that have worked great. And we've learned quite a bit about what doesn't work for us very well. So I'll break it down in groups here. Elementary School: my approach with Richard and Trina tends to involve making sure we are covering learning to read, doing math, and then mostly tagging along with the rest of the crew. Very different from my approach when my older set was this age. I'm not sure which kids are better served, but it is what it is. Richard is currently using Reading Kingdom to brush up on his spelling. Eventually he'll get up to the point where it works on his reading too. Both of them are using Samson's Classroom, another online program. We just started this, but I think it has the potential to be fabulous for Richard. My hope is to pull Primary Arts of Language (PAL) out again and work with both of them with that. Richard, mostly the writing aspect. Middle School: by this point, I start to let my guys have some more input into what they are doing for school. I think it is important for them to have some choices. I don't always agree with the choices they make, but I do try to go along with as much as seems reasonable. Sometimes it turns out they clearly knew what they were talking about. Other times, they learn a bit about factoring in Mom's misgivings -- a lesson that probably teaches them more than any curriculum could. So what are William and Thomas doing for school this year? In addition, they are using Lightning Literature's 7th Grade program. I'm loving that. For math, my plan was to have them work with Math U See as well, but that hasn't panned out quite like I intended. Instead, I'm having them work with appropriate books from Math Essentials. In history, we'll be doing Truthquest some more, somewhat coordinated with what the elementary set is doing. We're also using unit studies from Homeschool Legacy. I never ever ever ever thought I'd say we were using a unit study seriously. Science is an area where we are still talking over some options. And then there are a variety of extra things too. For one, we are looking at using Spanish for You. High School: I see my role in high school curriculum as mostly pointing out constraints (required numbers of credits, budget restrictions, etc.) and acting as part adviser, part research assistant, and maybe a small part teacher. Connor plans to get a degree in science. So we've talked about what he needs and how he can get there. He is making many of the decisions about what to do and what to use. Science -- I am pretty sure he is going to be starting over with basically an AP Chemistry course, using DIVE and Apologia's chemistry materials. At least that is the way he is leaning. He got sidetracked last year, and ended up in a totally different science direction. History -- he is using James Stobaugh's World History materials as the base of his history studies, and adding a bit from Truthquest as well. Mostly, he has decided that we've been pretty intense with history and history readings, and he needs something different. I'm hoping to get a review posted on the World History today. Plus, he's working on things like music history/appreciation, art history, and PE. And he hopes to pull together a robotics 1/2 credit course this year. And finish up a computer programming credit. To read what other people on the Crew are up to, check out the hop below! Hi! Fellow crew member here! I enjoyed reading about your curriculum choices for the younger children. We are using a few of the same items ... except you have a couple I would LOVE to use like IEW Pal and Kinderbach. I will have to go back and read about your experiences once I find a wee bit of free time. I wanted to let you know that I have a giveaway posted ... it is my first one for a used book you can use with TruthQuest. Come take a look if you have time - you may be able to use it. I posted it late last night. I hope to make my curriculum choices soon but it has been difficult since we are packing for an upcoming move. Gee wiz ... I must still be tired. Here is the link to my giveaway http://totplay.blogspot.com/2012/08/the-light-and-glory-for-children.html. Sorry!